The DCEU may be dead but that hasn’t stopped DC from continuing to churn out films based on their IP. 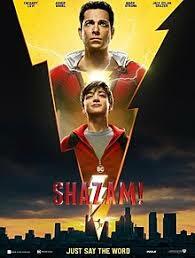 After the wildly successful Aquaman, can they continue the streak with their own Captain Marvel? It turns out the answer is yes; the company that gave us Superman, the Dark Knight and Wonder Woman still has great movies in them. The REAL Captain is here. 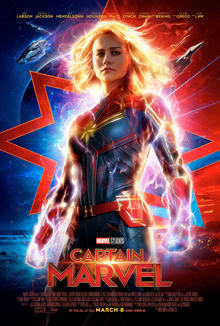 The 21st film in the Marvel Cinematic Universe has dropped and Carol Danvers makes her on screen debut in Disney’s Captain Marvel. How does it stack up in a supremely crowded franchise with almost two dozen films? Part human, part robot, all badass. From Yukito Kishiro himself. 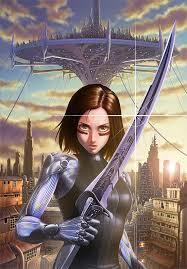 Alita is that rarest of movies; a western adaptation of a Japanese manga/anime classic. I can count all of those that I know of on one hand: Speed Racer. Ghost in the Shell. Edge of Tomorrow. Dragonball Evolution. All these movies have made the leap from art to film, east to west. Most of them have been abysmal failures. Does Alita then fare any better? That was the general sentiment on the 18th when Red Velvet had their first show on Canadian soil. 7 years since the last mainline Kingdom Hearts game (3D) and a whopping 13 since the 2nd iteration in the series, Kingdom Hearts 3 released on January 25th in Japan and the 29th for all other regions. The final in the so called “dark seeker saga,” the series has spanned 17 years, over 10 games and just as many platforms. So how did it turn out? First of all, this review WILL contain spoilers, for past games as well as this one. If you don’t want to be spoiled, the beginning of the review will be spoiler free. Major spoilers will be present however, in the second half. Juice=Juice has finally released their long awaited second album Juice=Juice#2 -¡Una más!- just a few days ago on August 1st. It comes in a single disc regular edition, and a deluxe limited edition with two CD’s and a blu-ray. The two discs serve primarily as a collection of the groups physical and digital singles over the last two years. Continue past the jump to read my take on all of the songs in the limited edition! Morning Musume。’18 to perform in Mexico! 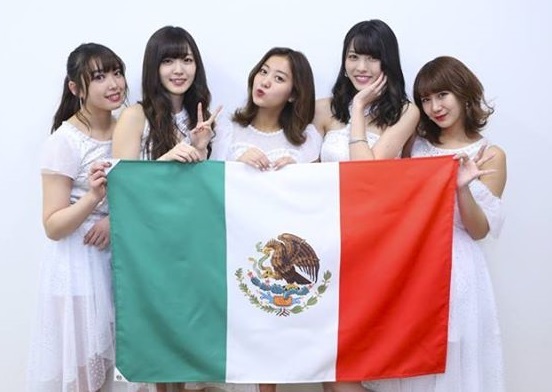 Mexican Morning Musume。’18 fans have reason to celebrate as it has been announced that Morning Musume。’18 will be visiting Mexico for the first time on November 10th 2018 to perform a concert! As with previous Hello! Project events in Mexico, the concert will be put on by Ninshi Conciertos, and will include a special fan event on the day after the concert for those with a VIP ticket. Those lucky enough to attend the fan event will be able to participate in a handshake event and will receive a signed poster! Hey world, are you thirsty? Thirsty for some juice? Hopefully you are, because Juice=Juice has just announced a world tour! In a first for Hello! Project, Juice=Juice will visit seven separate countries this Fall. Their destinations will include the United States, Mexico, England, France, Germany, Malaysia, and Thailand. The tour is set to begin in September, and presumably more information will be provided as the events approach. While many Hello! Project acts have already performed abroad this is the first time that a group has performed a proper world tour. Additionally, this will be the first time that a Hello! Project group has visited many of these countries, like England and Germany. As your author is quite the Juice=Juice fan, he is really looking forward to seeing them perform in America! So get your glasses ready world, Juice=Juice is coming around! It has just been announced that ℃-ute will be making a return to Mexico! Hello Project’s most senior group will be performing a second concert in Mexico City on April 13, 2017 aptly named ℃-ute Cutie Circuit ~¡De vuelta a México!~. The concert will take place at SALA CORONA and tickets can be purchased at the Mexico TicketMaster website. Those fans lucky enough to secure a VIP ticket can even participate in a fan event on the next day! Details on the fan event will hopefully be released soon. This performance in Mexico and the ℃-ute Cutie Circuit ~De retour à Paris~ concert only three days later in France may be the last time foreign fans are able to see ℃-ute before their unfortunate disbanding this June. Let’s hope that lots of fans are able to give these great girls a wonderful sendoff in their home countries! So Nintendo finally gave us more details on their new console after first showing it with that video last year, and what a showing it was. It all sounded good at first. 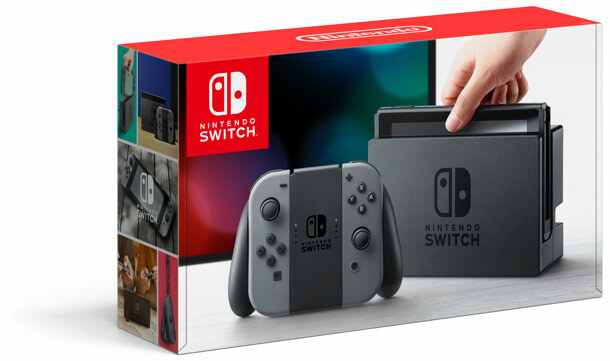 They showed a price, release date and revealed that the Switch, unlike their other consoles would FINALLY be region free! No longer do you have to buy another version of the same console just to play a game that they weren’t willing to release in the west. The price of $299 USD was a bit high but most people were expecting them to price it at that range. March 3rd as the release day was a shocker as well.I along with most people probably expected middle or late March, not 6 weeks out from the announcement date. All in all though, things were going smoothly.